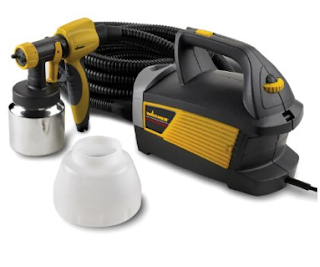 Top 10 Furniture Re-do "Things"
The Wagner Control Spray Max HVLP Sprayer--retails at $99. I bought this sprayer after a good friend of mine bought hers to paint her daughter's bedroom furniture. I had always been intrigued by paint sprayers but figured they were too expensive, and were only for huge projects. My friend and my sister changed my mind, and when I found out I could get it less than $100 I was sold (I bought mine from ATG stores, an affiliate of Lowes. With a 10% coupon code it was the best price). 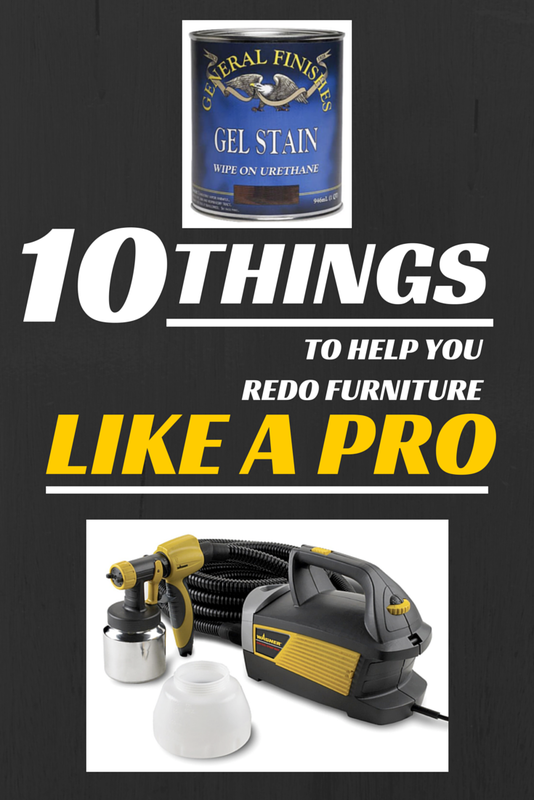 This baby is easy to clean out and easy to use, and being able to paint most furniture pieces in an hour or so with any kind of paint is spectacular. I still love my aerosol spray paint, but this saves a lot of $ (and trips to the store for more cans). Plus it opens up so much more creative options since you aren't limited to spray paint colors. I barely water down my latex paint (or primer) and turn it on. Very little overspray, very smooth output, no more brush strokes (yuck)and no more hours and hours of painting. It makes all of those spindles on chairs, or legs on furniture so much less tedious to paint, as well as I have even used this when painting with chalk paint. This is seriously one of my all-time favorite, most worthwhile purchases ever. Seriously. Rustoleum Spray Paint--$3-8 retail. So I know I just wrote about how much I love my paint sprayer since it allows me to get away from spray paint cans, however Rustoleum creates an awesome selection of spray paint that is invaluable. For a smaller project that will only take me 2-3 cans and is a color I won't want a ton of leftover in, I will go the spray paint route. Rustoleum's coverage and quality cannot be beat by the competitors. It is worth a couple dollars more because it goes farther and looks better. What I really LOVE about Rustoleum though is their awesome selection of paints that mimic metal or even mirrors. 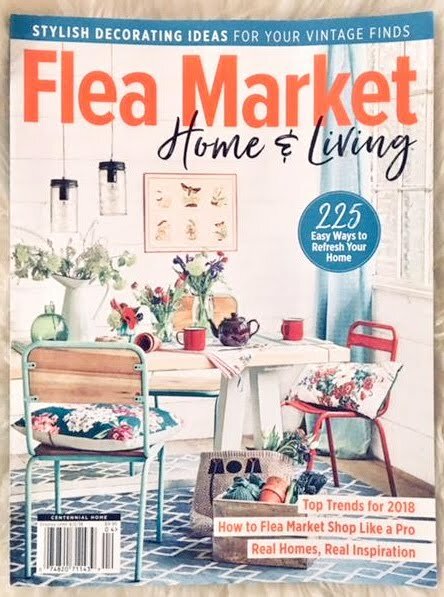 I have yet to try their looking glass paint (can't wait to try it though), but have used their Oil Rubbed Bronze and a few others for painting over hardware for my furniture pieces. In just a second you have brand new looking hardware, and it is tough, durable, and professional looking. To see the many pieces I have used the oil rubbed bronze spray paint on, check out this before and after page and nearly every piece that has hardware painted it is from using this paint. General Finishes Gel Stain--approx. $20/qt retail. 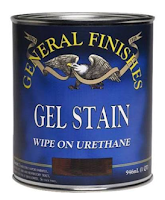 You can buy GF stain at any local Woodcraft store and Amazon, and more and more retailers are starting to carry General Finishes because they are realizing how awesome this gel stain truly is. 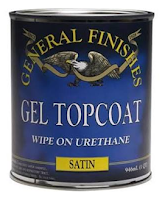 In other gel stain's defense, I have never tried the competitors, but I have read other's experiences with the competitors vs GF and I don't want to experiment. This stuff goes a LONG way and is so fun to "play" with. I get a disposable latex glove, put an old sock on over it, and get a little bit on my fingertips to rub on my furniture piece. I wipe it on and it is gorgeous. I top it off with the satin finish of the GF clear topcoat. Looks beautiful and professional. Because there is so much more to say about gel stain, I plan on writing an entire post on it with before and after pictures soon! Dremel Sawmax--$99 retail. My husband bought this for me as a set with a dremel rotary tool and a dremel that I still haven't used, but I got all 3 for between $150-200. 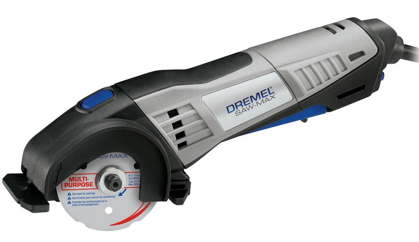 I had no idea that I would love this little handheld saw as much as I do, but it is so AWESOME! I love my miter saw, my circular saw, my jigsaw, etc, but this little thing is invaluable because it doesn't jerk things around, is easy to hold and maneuver, and it has been helpful when it comes to the type of power cutting that furniture transformations can sometimes require. I used it when cutting the metal decorative pieces on my buffet, the Lego plates on my Lego playstation, and the HUGE pieces of beadboard to replace the backings on my bookshelf redo. Plastic, metal, wood, this little sawmax can handle the job. 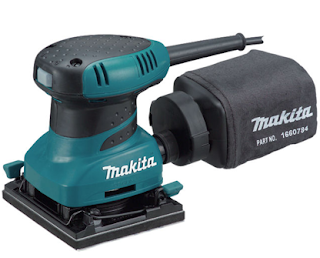 Makita Handsander--approx. $60 retail. I have tried all of the cheaper hand sanders but they stink! They don't hold the sandpaper and I can't even begin to express how frustrating that is! I have tried orbital sanders as well, but in the end have found that this little Makita is the perfect size for me and works just like I wanted and expected. It is crazy how many other brands don't do that. Thanks to Home Depot for letting me return two that didn't work out like I had hoped. 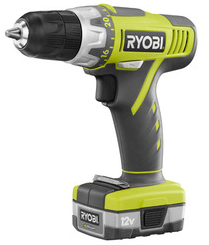 Ryobi Screwdriver--bought this screwdriver as a kit for around $100 so you might want to wait for that sale or shop around. Having a good screwdriver really makes a difference. So many times I want to yell and scream because I can't get a dang screw in where I want it to go. I keep dropping it or making it go in crooked, etc. The screwdrivers I had were not working well and thanks to this little Ryobi my frustrations regarding screwdrivers have mostly gone away (now it is just user area that makes me frustrated). It has a lot of good reviews so I am not the only one who likes how long it holds its charge, how it stays powerful until it needs to be recharged, and how it recharges SOOO fast. Plus I love how it has convenient magnetized areas too. 220 grit sandpaper--couple dollars retail. When redoing furniture you typically need a very high grit sandpaper to barely knick something up for the paint or stain to adhere to, not something to rough up the piece. I also will use this in between coats of paint if needs be. Cardboard boxes--free...watch for them on Craigslist. I like these better than drop cloths because they are easy to lay down, they don't get crumpled up, and they don't stick to wet paint like a drop cloth can. They keep your garage or work area clean from the messes you make re-doing furniture, and can be re-used time and time again. Painters tape--I almost saved this for last because I HATE taping things off. But there are many pieces that you need that protection, and there is no way around it. I would definitely say buy the wider tape since it gives you that extra level of protection. Creative friends and family--Last, but definitely not least is having a good network of people around you that know you and know style. I have my group of FB people I love to throw out questions to and my main go to person is my sister. She has an eye for style, knows exactly what looks good where, and can see the diamond in the rough. Thanks to Face Time I can show her the pieces I get and ask her what I should do with them. Her standard answer is, "Paint it white," but even though that sounds so simple and non-creative she can expound on exactly what should be done to every aspect of the piece. I have my own opinions too so we often go back and forth with our thoughts, but in the end, with her help, I feel like my transformations are much better with her input. It is always nice to have someone to bounce ideas off of, or get ideas when you are running a blank. Plus when things go bad, which they do, it is wonderful to have someone to first commiserate with, and then who can help you get out of that funk with some encouragement and suggestions. There are so many other products that I have on my "to-try list". I haven't ever had to really strip a piece of furniture, but when I do I plan on trying Citri-Strip. I haven't ever really had to majorly clean a piece before working on it, but I have a few products to buy and try when I do. Hopefully some of these items will help you with your projects. And just as a side note, I was not paid in any way by any of the above companies mentioned. I researched each of these products on my own, bought them based on my findings, and they have continued to make me happy time and time again. I love hearing from you since I always love learning new things! What are things that help you with your projects? A particular tool? Paint? Product? Please share!! Can you use your spray painter to paint walls or would it just be easier to use the roller? Great question Valary. I've never tried walls but I went and researched this since you asked. There are over 500 reviews on Amazon, and one of them is very helpful regarding this question. His and others all say that this sprayer is best for outdoor projects. It has been used for painting the exterior of a house or shed, and even for the walls inside a shed, but when dealing with closed quarters like your home, with the potential overspray and all of the taping and drop cloths, it would not be your fastest or easiest option. It is awesome though for painting (& even spraying stain) onto cabinets, doors, trim, etc. Hope that helps! This is an awesome list!! I am so scared of wood (staining, really) but I have so much of it that needs attention, both in my "new" house here (hello, 1997) and in some of my furniture that is looking dated but that I still really like. I am going to Pin this list!! I also have the same question as was posted above--would you use the spray painter (item #1) on walls?? JWW don't be afraid of stain, even if it isn't gel stain. Staining wood is actually very relaxing and very forgiving, so it is hard to mess up! Gel stain is less messy than regular stain, but depending on the look you want determines which one would be best. If you want to ask more specific questions in regards to what pieces you want to redo and what look you want, I'd be happy to suggest what kind of stain you need as well as some simple pointers. Beth, I'm going to warn you to not start using that spray paint. If you do books will become a thing of the past for you and you will turn into a crazy person like me! You have no idea what possibilities (& fun) is in store with that can of Rustoleum. And just so you know, if it is above 40 you will probably be fine. 70 is ideal but anywhere around there ( pretty big window of ok temps) will work great. If you want my help getting started, or the courage, I'm there! Thanks for sharing your experiences. I'm doing some research on painting. I have an old coffee table and I want to repaint it. Now I know how to do that.